Objectively, that was the best season of Digimon. After this, the show goes down controversial new paths, some more successful than others. Even for the dub, this was the point where Disney took over ownership of the show, moved it to basic cable and changed familiar production aspects (often for the better in the case of the latter, but change is still change). As meaningless a change as that should mean in the long run, and even as it was undone by Jeff Nimoy returning to write Data Squad or Saban reclaiming ownership for Fusion, Tamers is constantly grouped with Adventure and Zero Two while the remaining seasons are left to fend for themselves. 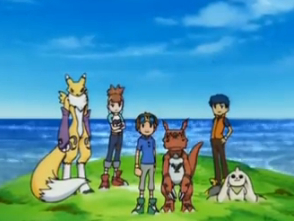 One reason for that is that Tamers is the last “pure” season of the series. The innovations made down the road shake up the child/Digimon partnership, the age of the human partners, and the nature of evolution. Not all of these have been welcomed. Hell, there are some people who dismiss Data Squad because Marcus doesn't wear goggles! It's unfair to divide Digimon into the good half and the dicey half, and it's something this blog seeks to correct by giving Frontier, Data Squad and Fusion equal billing. But for everything Tamers throws at us, it was remarkable in its ability to keep the essentials intact and mastering them. The best example of this is in the way the Digimon partners are portrayed. Despite the show's title, Adventure and Zero Two were always about the children. The Digimon partners were merely reflections of the kids, injecting a dissenting opinion or personality here and there but never establishing themselves as individual characters. Tamers broke that by giving the primary five Digimon (Impmon and Calumon must be included here) their own character arcs. They grew and developed alongside their partners, and not always in the same way or at the same time. The most striking example, Guilmon, went from an awkward infant to a mature adult before our eyes. We won't see this much character out of the Digimon again until Fusion (where, thankfully, it will be in abundance). Not that the human characters didn't keep up. The tamers were of a different mold from the digidestined, creating a memorable roster. Takato isn't brash or outwardly confident like all the other goggleheads, but has the passion and determination to make a worthy flag-bearer. Rika is only the most distinctive female character in the franchise. Henry will be forever stuck as the third wheel in this trinity, but only because his story goes far beyond the usual family/social issues and instead becomes a series of complex moral debates raging in his head. It's harder to summarize that cleanly. Tamers is unusual not only because it shrinks the marquee to just three main characters, but that the supporting cast is incredibly developed. Jeri went from bit player to crucial figure in one decisive moment, ultimately how weakness and strength can be perceived by the same actions at the same time. The adults offering major support and the show's attention on Janyuu and the other parents is appreciated. Add in the twisted elements, random existentialism and a downright Madoka-esque dissection of the consequences of having a monster companion and it becomes a series that should get more attention among anime fans than your average Digimon series. As always, thanks for reading, and thanks especially for commenting, even if it's to point out a mistake or disagreement. If you'd like to help support the project, the cycling list of Digimon swag at the right leads to Amazon.com. 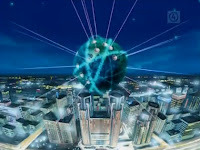 By clicking that link, a portion of anything you buy on that visit goes to help fund this site. While I've posted over holidays in the past, with Christmas and the new year hitting right as we're bridging two seasons, it's a good time to slow down a bit. So I'll be taking Christmas Eve and New Year's Eve off and only posting on Thursday for the next two weeks. That'll cover the second Tamers movie and open up Digimon Frontier. So until then, here's hoping your holiday season is better than Tai's. Tamers is easily my favourite of the digimon season but I really do want to see your take on the seasons yet to come, really just because I've yet to see a decent review on any of them that doesn't centre around the differences between what many people class as the 'bad' seasons of digimon and the ones that have already been done which are classed as the 'good'. Personally, I put Frontier as my least favourite digimon season, not that's it's bad or anything just my least favourite. Data Squad ranks probably around third or second. Fusion ranks fourth, but I mainly blame the hunters bit for that. I really did not like that arc. You may want to watch the CD Drama Message in a Packet, it's translated on youtube (or at least was) and it is a cannon (unlike runaway locomon) gut wrenching epilogue to Tamers. Itself continues in another CD Drama original story special ~with, but that has only a written translation. That last one is just the Tamers heading off to an amusement park to cheer up after the tearful goodbyes, meaning lot's of amusing interactions between the Tamers but nothing particularly revealing. I think tamers' only major flaw (not considering episode per episode animation errors or even minor retcon's), is that it's an extremely cerebral experience. Not that it doesn't have many heartfelt, funny, exciting, scary moments, quite the contrary. It's just that the casual viewer can't really enjoy it because 90% of what happens is below the surface, not to mention that it is very easy to lose track of what's going on if you miss some episodes. It's mainly that it needs attention and willingness to analyse what is happening and why, to truly understand what the characters are going through. This is most prevalent in Henry's case, which is why it's so hard to define him, and least prevalent in Rika's case, which is why she is so popular. 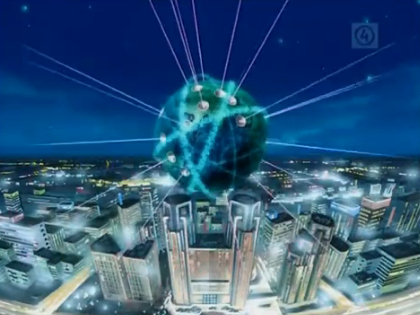 But to me, what is more astonishing in Tamers is the sheer attention to detail. There are few works that can compare or surpass it, only the very best movies (not just animated ones), and tv series. I don't think I would be very far off to call it a 17 hour long movie actually, considering how the story is structured.